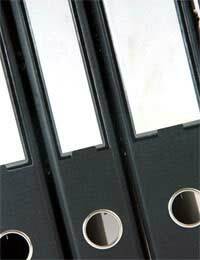 Whatever size business you have there are regulations in place regarding your business records. You cannot run even the smallest boarding cattery business without paying taxes. For this and several other reasons you must keep accurate records. What Business Records Are Needed? Your accountant will need a record of all the money you receive and all the money you pay out. You will need a receipt for every item you purchase that can have all, or any of its cost, accredited to your cattery. This will include cat food, litter, cleaning materials and disposable dishes (if you use them). These costs are recurring and all receipts must be kept. Then there are the one off items which you may only purchase once a year or less, such as litter trays and heated beds. Any cost for repairs that are needed to the cattery will need to be recorded. Even if you do the repairs yourself the materials will cost something. Your service bills will need keeping, as an accountant can charge a percentage of your water rates, electricity bills, and phone bills to your business. If your cattery has its own meters you will of course have separate bills for it. If you use a vehicle for business, even on an occasional basis, your accountant can charge some of the cost to the cattery. If you wear any special clothes when you are working in the cattery you should keep your receipts. If you are unsure as to whether or not an article can be charged against the cattery,keep and file the receipt. You must keep accurate up to date records of anyone you employ, even on a temporary basis. A record of the dates and hours that any staff worked plus what money was paid to them. If you have full time staff the records need to be fully documented for tax and PAYE purposes and you will need to research this very thoroughly to be sure of keeping the correct records. When a client pays their bill, a record must be made of how the money is paid, either by cheque, cash or credit card. The booking forms should record the details and these will be transferred either onto a computer or into a ledger. Your bank paying in book will have a record of what cheques are banked and your bank statements will confirm the amounts. Your bank statements will need to be filed and kept safely. When your accountant has finished with your records he/she will return them to you. It is your responsibility to store all records safely for at least six years. Should Cat Records Be Kept? When you take a booking for your cattery you must record certain details. The owner's details, the vaccination dates, the arrival and departure date and any other relevant information. These details can be recorded on to a computer if you have the software or onto cards in a box file system. The booking forms themselves are a record of all of your cattery transactions and, as such, are an important 'paper trail' should you ever need to refer to them. When you have your annual cattery inspection from the local council's environmental health officer, he/she will in all probability ask to see some booking forms just to check that you are indeed keeping proper records. The amount of records that are needed sounds a little daunting but in fact once you have a good, easy to use system it becomes second nature to file and record everything.